Vitrea is leading the technology revolution of the long static electric switch industry. 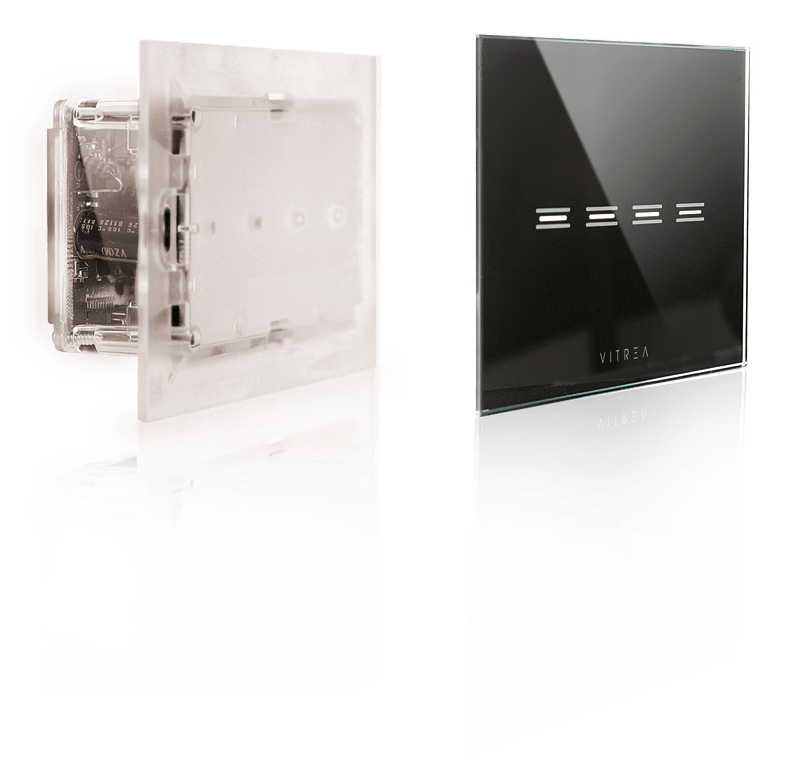 By fusing smart touch technology with the elegant design of crystallized glass, Vitrea has created revolutionary switches for your home and business. Our unique wired and wireless technology is changing the landscape and making smart homes more affordable, giving our clients access to the digital home of their dreams. Our own ARANET technology, based on RF Mesh, acts like a virtual spider web connecting your entire home through VTouch Pro switches and our VBox Pro Controller. The beauty of ARANET is that it is wireless technology, meaning it can be installed in your existing home or office without the need for messy infrastructure. Additionally, the VTouch Pro switches will always work, making it the most stable and reliable technology in home automation. With ARANET, living in a smart home has never been simpler. Creating innovative technology is a top priority at Vitrea which is why we use only the most premium components to build our products. We go above and beyond to ensure that every Vitrea system, from touch keypads to full smart home systems, have been rigorously tested to meet and exceed industry standards around the world. We are proud of our technology and even prouder of our goal of reaching extraordinary levels of unwavering dependability. Thank you! Please check your mailbox. Problem, please try again later. © All rights reserved to Vitrea Smart Home Technologies LTD.